Banner of Truth Trust, Carlisle, PA: 1997, reprinted. Since the Church of 21st Century Christendom is infatuated with the mystical and mysterious, their attraction to the Charismania which is permeating every corner of the world is expected. However, what should the Christian’s Biblical response be to those who believe they are engaged in the apostolic gifts of special revelation called “tongues” and “prophecy?” What do we say to those who believe these supernatural gifts of revelation are still for today’s church? Robertson demonstrates that the church has failed to grasp the full meaning of the gifts if they believe in the gifts of tongues and prophecy today. Since that which is far better than both tongues and foretelling the future has been given to the church, why would anyone want to go back to the more beggarly elements of the gifts from apostolic times? 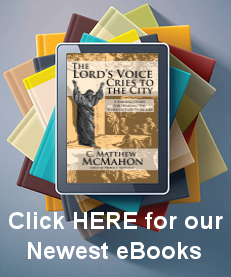 Here Robertson meets the Charismatic and explains that the Scriptures are sufficient, and that they are God’s final Word of Revelation to the believer. For any person to ascribe to the gifts of revelation (tongues, interpretation of tongues, and Foretelling or Prophecy (words of wisdom, knowledge etc.)) they are undermining the necessity and sufficiency of the Bible. Many times the charismatic will appeal to the fact that all their supernatural giftedness must be subject to the Bible. Where does the Bible say this? 1 Corinthians does tell us that the words spoken in these supernatural gifts are under duress of the spirit of the speaker, but to say they are to be subject to eh Word of God places them in a very strange predicament. If they are subject to the Word, and they cannot contradict what the Word says, then why do we still need them? Is not the Word sufficient? If it is not, then what is being heeded to is extra; above and beyond the Word. Here is where the contention lies.